No Monday Blues this week! There are bright, vibrant cities all across the globe, but here we narrow it down to six of the most colourful cities in the world that make for a great vacation. Here you’ll find cliff-side fishing villages on the Italian Rivera that seem to have avoided any modern development, and therefore retaining its natural charm. The villages date back to the early medieval period — in fact Monterosso, the oldest of all five villages, was founded in AD 643. And at night, the town glows like Christmas lights glistening against the Ligurian Sea. The prophet Nostradamus was here too! Now let’s take a trip back to the 1920s, when artists and writers took to the riviera for its bohemian appeal and la belle-époque glitz. The land was shaped by the influence of those, include Van Gogh and Peter Mayle. 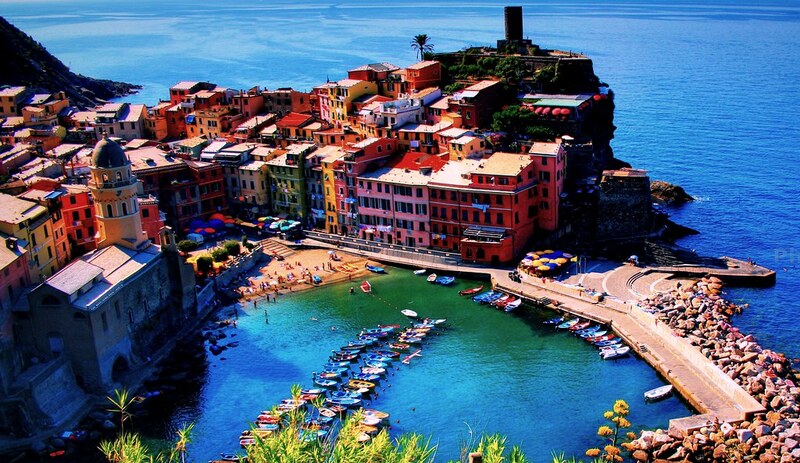 Picture lavender fields, saturated bathers along the coast, and palm-fringed promenades. 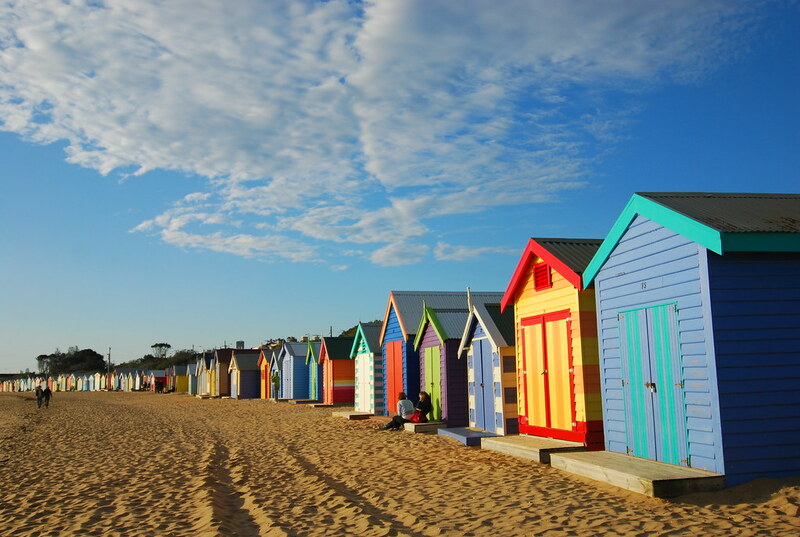 The colourful bathing boxes that line Brighton’s Dendy Street Beach are iconic, as is its story. These antiques were used as ladies changing sheds in the 1800s, during an era where private dressing facilities were mandatory. The boxes retained their Victorian architecture whilst spruced up with a multitude of colours, and you can now buy yourself a box too! 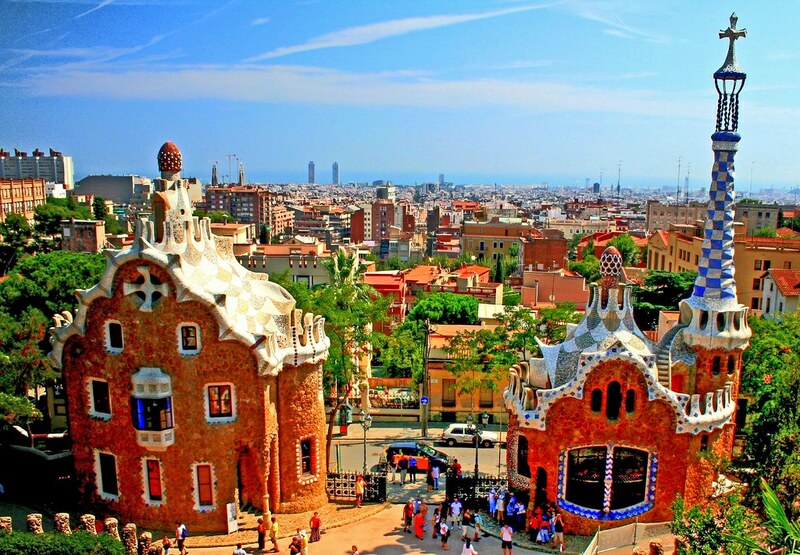 The park was designed by the famous Spanish Catalan architect Gaudí, along with Eusebi Güell, who envisioned a stylish park for Spanish aristocracy. Today the park is open to all tourists, with a welcome by one famous Gaudí dragon fountain; hypnotic and adorned in coloured tiling, just like the rest of the park. 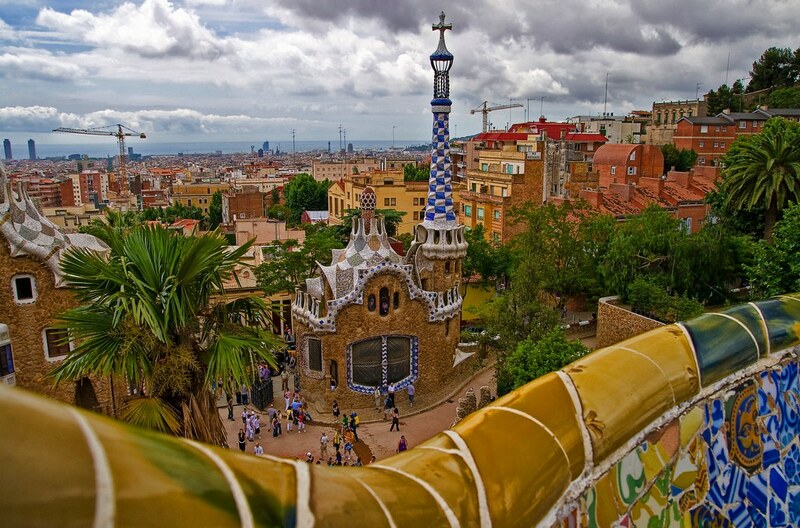 At the very top is a terrace with coloured-tiled mosaic seats where you can marvel at the design of it all. Pops of colour are splashed acorss the slopes of Bo Kaap, otherwise known as Cape Malay — a modest community brought over from the Dutch from Southeast Easia in the 1600s, in case you didn’t know. Yes, it’s definitely a place you have to see to believe, and you’ll be in awe of the sights; the coloured homes that residents had painted to celebrate the end of the apartheid. Scandanavia shines bright with colourful buildings along the streets and canals, it’s a sight that greets you almost everywhere you go. The vibrant architecture serves a purpose — it’s meant to bring light to the city in the cold winter months. They lift the mood on gloomy days and add a more cheerful ambiance to the city. Add a little colour and light to your life. Photo credits: Main, 1, 2, 3, 4, 5 and 6.